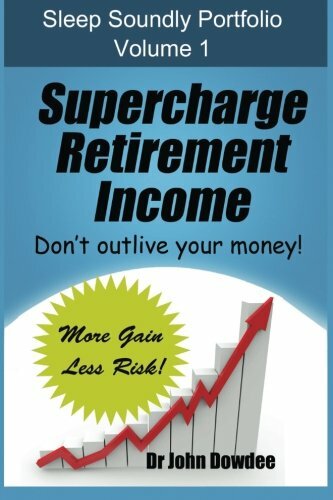 supercharge your retirement income while reducing your overall risk. By doing it yourself, you should be able to “sleep soundly” because you know that your investments are in “good hands.” The book begins with the fundamentals of developing a higher return, lower risk portfolio. It provides step-by-step instructions on how to assess reward versus risk. The book then explores ways to spice up your portfolio by using non-traditional assets such as real estate investment trusts, master limited partnerships, commodities, precious metals, and currency funds. The book concludes with two sample sleep soundly portfolios, one using Exchange Traded Funds (ETFs) and the other based on Closed End Funds (CEFs). The book offers an excellent tutorial for beginners and also provides new insights for the seasoned investor. The sleep soundly strategy is not about a one-size-fits-all portfolio. Instead, you will learn how to build a diversified portfolio that is uniquely suited to your needs. I understand that the objectives of this book may seem farfetched but the strategy is based on Nobel Prize winning ideas. The techniques are simple but have not been highly publicized because Wall Street would like to perpetuate the myth that retail investors cannot manage their own funds. After you read this book, you will never again be intimidated by Wall Street.